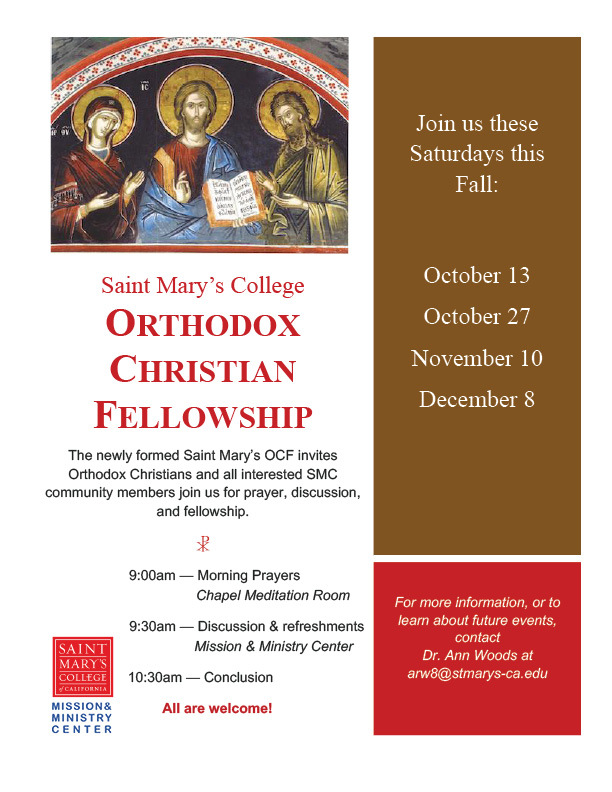 Saint Mary's College is a multi-faith community! There is little more important than honoring the diversity of our students, staff, faculty and administration. Our new Interfaith Sacred Space was blessed and officially opened for daily use on October 5, 2016. Click here for an article in The Catholic Voice about the event or here for an article in De La Salle Today. Interfaith Sacred Space location: Located next to the Chapel between its main doors and the Mission and Ministry Center. It is open to all during regular Chapel hours for prayer and meditation.